When I met Claudia she had the same window display for over a year and I asked to design a new one for free, she agreed. 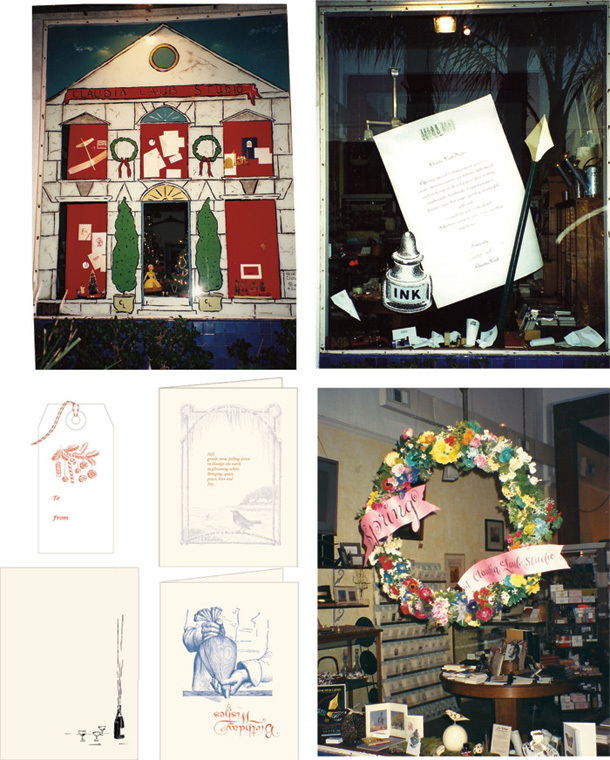 Years later my work with Claudia, and now Jonathan Wright, evolved to windows, trade show booths in NY and Atlanta, the shop interior and the stationary line itself. Although I no longer work with them I greatly appreciate that they allowed me to create so much for them.